Here is an artist I’ve been meaning to feature for a long time, ever since hearing him perform ‘Early Spring Till‘ on a compilation. 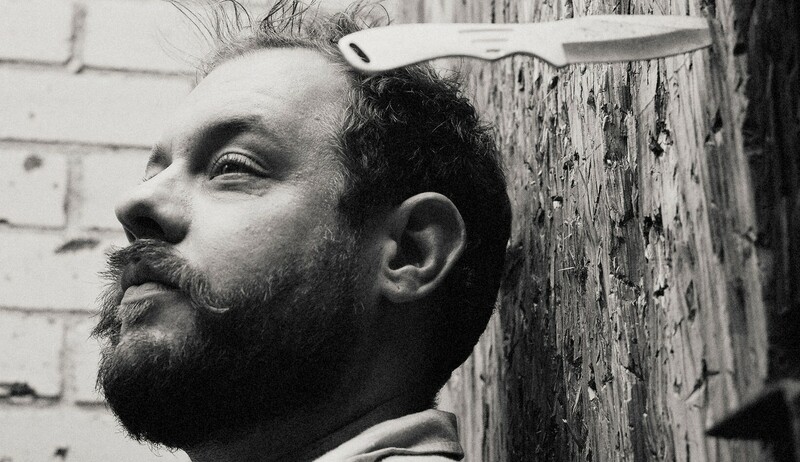 Bearing the stature of a gentle giant and a hollerin’ voice that belies great hurt, Nathaniel Rateliff grew up in a devout small town in rural Missouri where he played music from an early age and explored the countryside, sleeping outside during hot seasons. “I loved growing up there,” he says. “It’s beautiful. There’s something really nice about there not being much to do; it really helped me be a creative person”. The quiet, contemplative ambience of his hometown clearly stuck in his bones when it came to recording the soul-searching minimalism of In Memory Of Loss, which touched on the death of his father in his teens and severe illness in his 20’s. Having received critical acclaim and travelled the world performing since its release in 2010, his recent followup Falling Faster Than You Can Run comes from a different space. While the pain of loss always seems to linger not far behind the joy of the present in Rateliff’s songs, he seems to have a wider perspective now as can be heard on album opener ‘Still Trying’. ‘Still Trying’ sees Rateliff studying the loneliness experienced in indifferent hotel rooms that comes part and parcel of touring around the world. And while Rateliff seems momentarily stuck in that brooding moment of homesickness, it is the resilient timbre of his voice and insistent acoustic rhythms which propel him and the song forward with juggernaut momentum. The songs seem to carry him headlong through whatever comes his way and the instrumentation lifts him out of the particular circumstances. Rateliff’s backing band The Wheel have always complemented him well, but their deft accompaniment on In Memory Of Loss did occasionally seemed an intrusion on the hushed, intimate atmosphere. By comparison, on ‘Still Trying’ and Falling Faster Than You Can Run in general the man and band sound like a unified force. Swirls of organ and susurrating guitar seem like a breeze that buoy up Rateliff’s splenetic guitar and vocals, as if they spring from a single source. It is eerie, but exhilarating and the cohesive sound of Falling Faster Than You Can Run shows Rateliff maturing as an arranger and a songwriter. The band are currently in the middle of a European tour so if you get the chance, check them out. You will not be disappointed. Falling Faster Than We Can Run is available now through Mod y Vi Records. This entry was posted in Artist Spotlight and tagged Falling Faster Than You Can Run, Folk, In Memory of Loss, Nathaniel Rateliff, The Wheel. Bookmark the permalink.